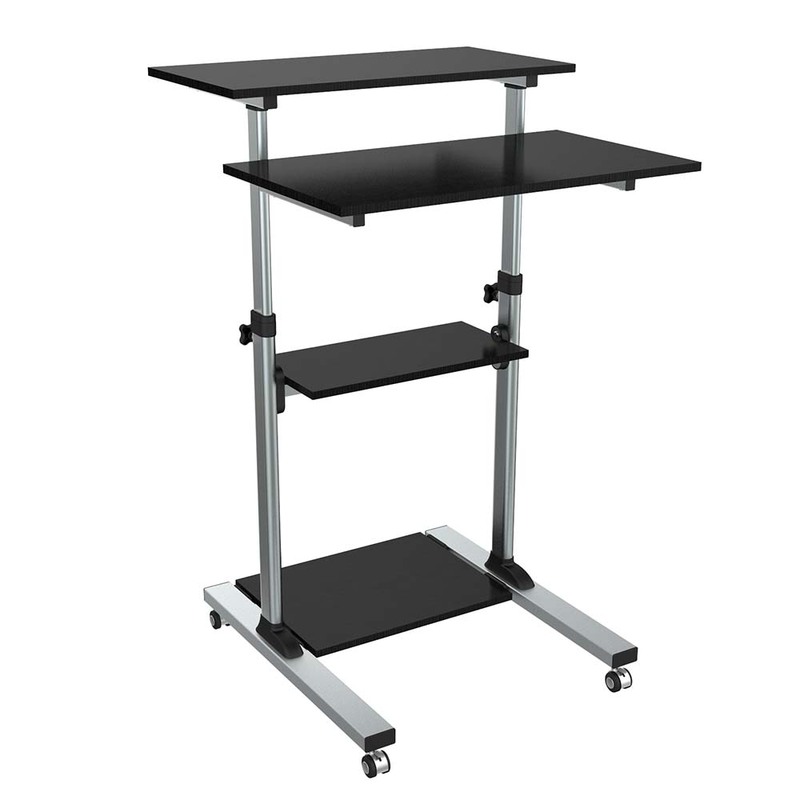 The WST-01 is a mobile stand up workstation, ideal for a small business, office or home work-station and presentations designed with a spacious upper display surface, lower keyboard and mouse desk and a small bottom shelf. 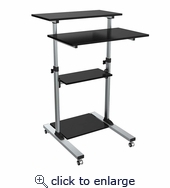 It features adjustable-lift mechanism with 4 adjustable height levels that allows you switch easily between different standing positions in just a few seconds. 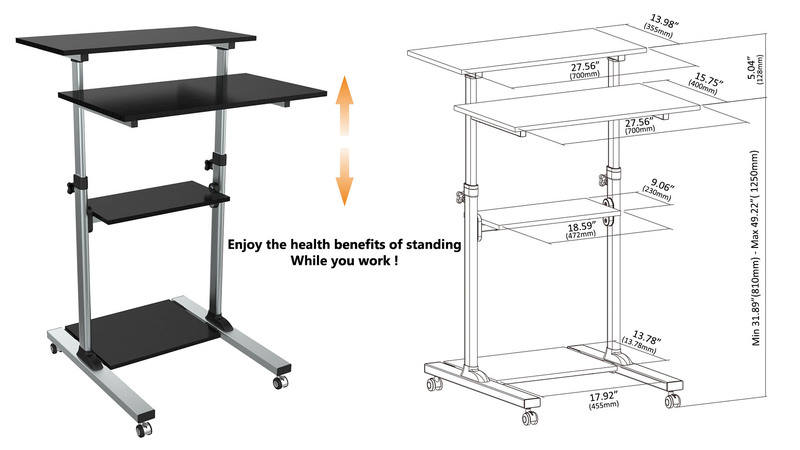 Simple to start enjoying the health benefits of standing while you work, another great feature is the casters that allows to move it around and take it any where.